The New Zealand women’s national cricket team, also known as the White Ferns represents New Zealand in international women’s cricket. 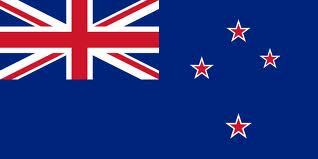 The team is governed by New Zealand Cricket. The team is currently third in the ICC Women’s Rankings with a total of 8,276 points and a rating of 120. New Zealand made its Test debut against England in 1935 at Lancaster Park, Christchurch. They played their first ODI match against Trinidad and Tobago at Clarence Park, St Albans in the June of 1973. Their T20 International debut was against England at the County Cricket Ground, Hove in the August of 2004. Along with England and Australia, New Zealand is one of the only three teams which have participated in all the eleven editions of the Women’s Cricket World Cup. They have also been the runners-up of World Cup on three occasions: 1993, 1997 and 2009. They have also participated in all the five editions of ICC Women’s World Twenty20 prior to 2018. They have reached the final twice in 2009 and 2010 but failed to win any of them, losing to England in 2009 and Australia in 2010.